The MU3MMRCA 3-foot 3.5mm audio to RCA audio cable delivers a cost-effective solution for connecting a portable audio device such as an iPod® (or other MP3 player) to a stereo receiver/amplifier. 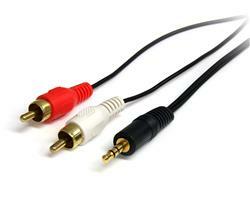 This versatile cable can also be used to connect a computer sound card to an audio device that accepts RCA audio input. 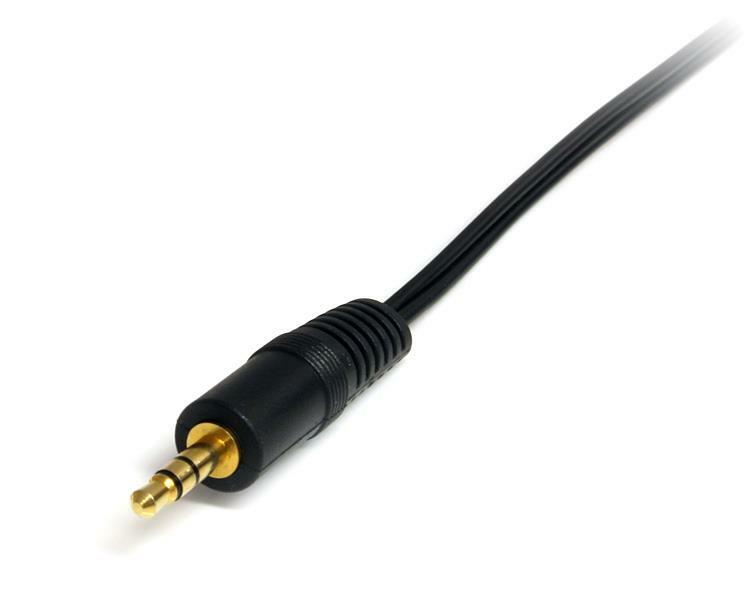 The cable features a 3.5mm audio (male) connector, which splits off into two RCA (phono) audio male connectors, providing high quality stereo sound. Designed to provide high quality audio as well as a durable and dependable connection, the 3-foot PC 3.5mm audio to RCA audio cable is backed by StarTech.com's Lifetime Warranty.